France seduces with art and architecture, iconic landmarks and dramatic landscapes. Whether man-made or created by nature, the beauty of France will make you want to come back for more. From the Eiffel Tower, one of the most iconic structures in the world, and countless charming châteaux to the white cliffs of the Alabaster Coast at Étretat and Monet’s garden at Giverny, wonder awaits around every bend along the Seine. 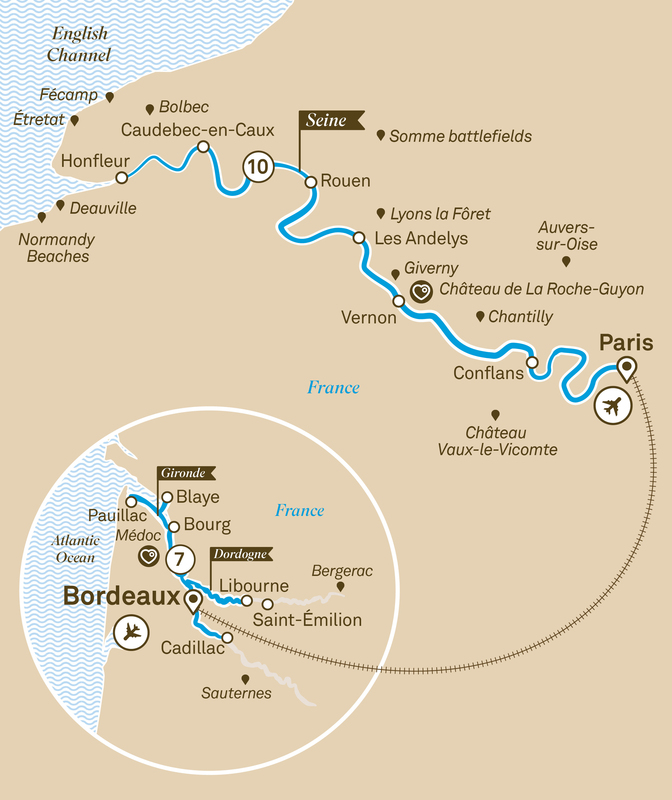 Continue to Bordeaux and delight in quaint villages, the scenic Médoc wine region and discover the city of Bordeaux’s idyllic boulevards and architecture.